It's time to play the music, it's time to light the lights….. The Muppets announce their most sensational, inspirational, celebrational, muppetational, full-length live show for the first time ever in Europe! Inspired by their hit 1980s variety TV show The Muppet Show, this magical event will be headlined by Kermit The Frog, leading an all-star cast of pigs, bears and whatevers in…. Live on Friday 13 and Saturday 14 July, The Muppets will be lighting up The O2 for 2 evenings and 1 matinee, so everyone can share in the mayhem, the music and laughter of a one-of-a-kind live Muppet performance! Following a hugely successful trio of sell-out shows at the Hollywood Bowl last year, this exclusive European show is the first time The Muppets have ever performed their full live extravaganza outside of the USA. 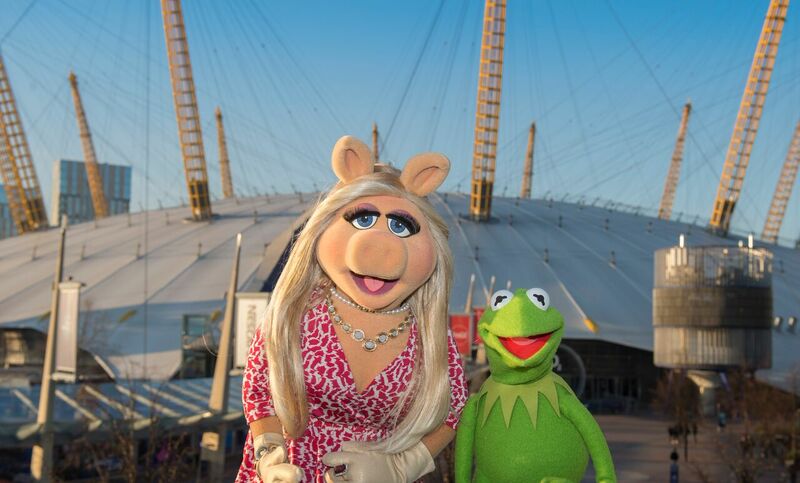 The O2 will become a place where Muppets and humans can come together to share a special connection. “We’re thrilled to bring this first time ever live performance to all our fans in the UK,” says Kermit, “There’ll be music, comedy, incredible surprises, plus total and complete chaos. In other words: It’s the Muppets! Yaaaay! Kermit and the ultimate diva herself - Miss Piggy will be joined by very special celebrity guests for musical performances, sketches and more. Highlights of the show include the fabulous Miss Piggy in a show-stopping musical extravaganza, a rocking musical jam by The Muppets’ legendary house band Dr. Teeth and The Electric Mayhem, with legendary drummer Animal. Plus the debut of all-new original chapters of those classic Muppet Show sketches - Pigs in Space, Veterinarian's Hospital and Muppet Labs and many, many more extraordinary surprises. 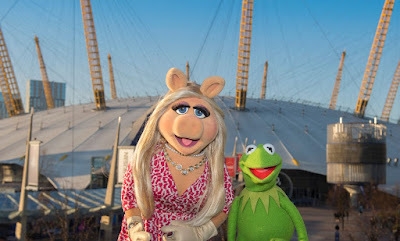 To celebrate this special weekend of Muppet fun, The O2 will be rolling out the green carpet for Muppet movies, street food, live music, best costume competitions and a whole host of celebrations for Piggy, Kermit and the gang. Since 1965, Kermit the Frog and The Muppets have been entertaining the world. In movies, on television, on the internet, and now live on stage, The Muppets have done just what they set out to do: sing, dance and make people happy. Under the often times steady, but frequently frantic leadership of Kermit the Frog, The Muppets have made eight theatrical motion pictures, countless television specials and appearances and, of course, that international mahna-mahna.... excuse us, we mean “phenomena”....The Muppet Show. With a cast of characters headlined by the inimitable, yet exasperating Miss Piggy, the hilarious Fozzie Bear, the inexplicable Great Gonzo and the extremely-loud Animal, The Muppets remain as beloved and befuddling entertaining as ever. So, please stop reading this -- because if you’re here then you probably already know all this stuff – and join the aforementioned entertainers – plus Sam Eagle, The Swedish Chef, Pepé the King Prawn, Lew Zealand, Rowlf and so many more! It’s time to get things started. This is what we call The Muppets Take The O2. And while this is the first ever live show for The Muppets in London, they are honorary citizens of the UK’s capital…. ● In their second feature film The Great Muppet Caper (1981), The Muppets must travel to London to stop a jewel heist…..